N.G.O. Gambia Bennie helps Gambia. N.G.O. Gambia Bennie helps Gambia is a Dutch foundation with a wide range of charity projects in The Gambia. In his long and impressing history this foundation involves in many school projects and the setup of hospitals. Also in agricultural projects, football clubs and sport clothes sponsoring. The sheltering of disabled people and orphans was the last of their many successful missions. Bennie helps Gambia owned also a container transport for all kind of charity goods which you can bring or send to their city: Coevorden Holland. Founder Bennie passed away a few years ago, but his foundation still exist with many motivated staff members. 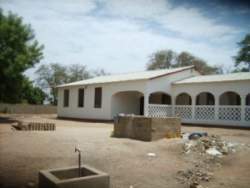 Visit www.benniehelptgambia.nl for more information.